But, somehow, it feels like every single time you take it to the Cryptarch to decode it, it's some blue (aka rare) weapon you didn't even need. Seriously. Trolls. The lot of them. So what are the chances of a legendary engram turning into an actual legendary item? Not very high, it seems, according to the number-crunching results of one team of four players. GrievouzOCE posted their team's results over on Reddit after farming for engrams since Destiny's launch. 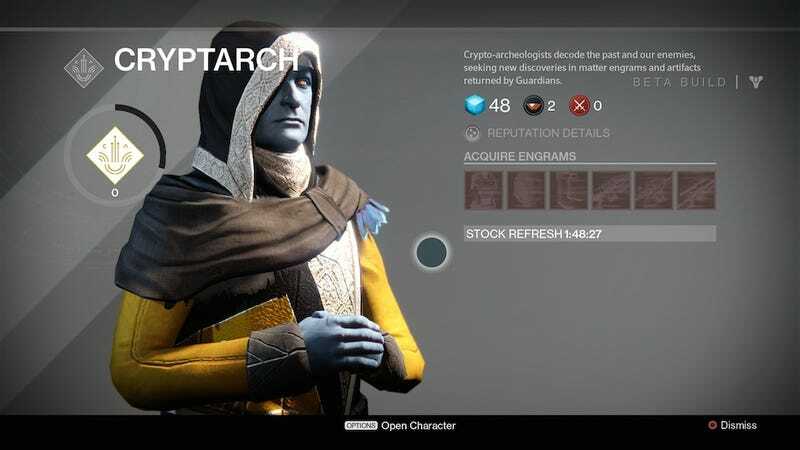 The statistics pretty much speak to a lot of what players have been saying about the Cryptarch: the man must seriously be color blind.